After the Videshi ALS Ice Bucket Challenge which created waves all across the globe, Prime Minister Narendra Modi, announced a desi challenge for us Indian to take- The Swachh Bharat Abhiyan. 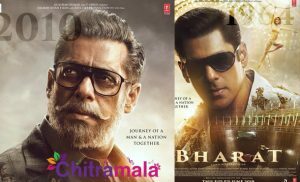 Announced on Gandhi Jayanti, PM NaMo challenged many Bollywood faces to take the challenge, and nominate 9 people in turn to spread the Clean India Message. 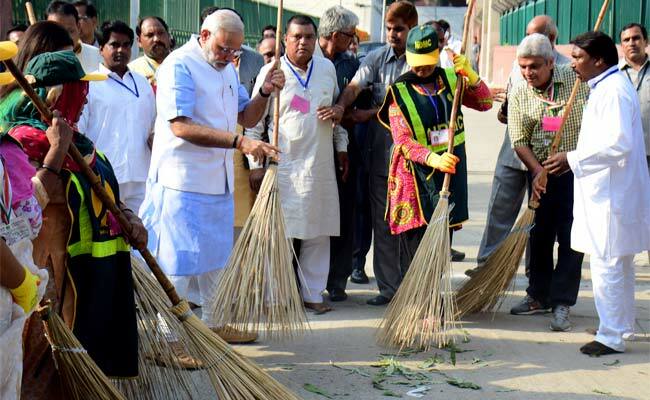 The Dabangg Khan of the town, took a broom and showed to the Twitterati, how the Swacch Bharat Abhiyan is done. He tweeted, “I started with Karjat yesterday. Yeh Dekho photo’s”. He even nominated many big names. He said, “And I nominate Aamir Khan, Azim Premji, Chanda Kochhar, Omar Abdullah, Pradeep Dhoot, Rajat Sharma, Rajinikanth & Vineet Jain”. 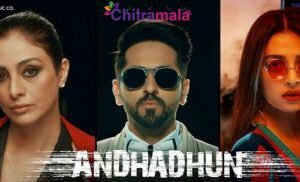 The SuperHero, who swishes in the air in his Krissh Avatar, was even spotted taking the challenge and cleaning up the city. He posted, “2day I pledge 2 keep my home, my roads, my city my country clean.I also take responsibility 2 teach n empower others 2follow. #swachhbharat. #swachhbharat I started cleaning my own surroundings and learnt so much. Started with my lanes In juhu. Went around talking learning and informing residents, watchmen n workers about better ways to keep our society clean”. 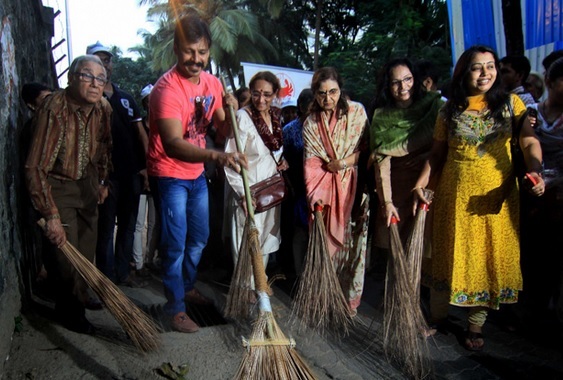 Actor Ravi Kishan was seen at the streets of Patna while he lent his support to the campaign. Leading a contingent of four hundred people on Exhibition Road, Ravi made it a real big Abhiyan. 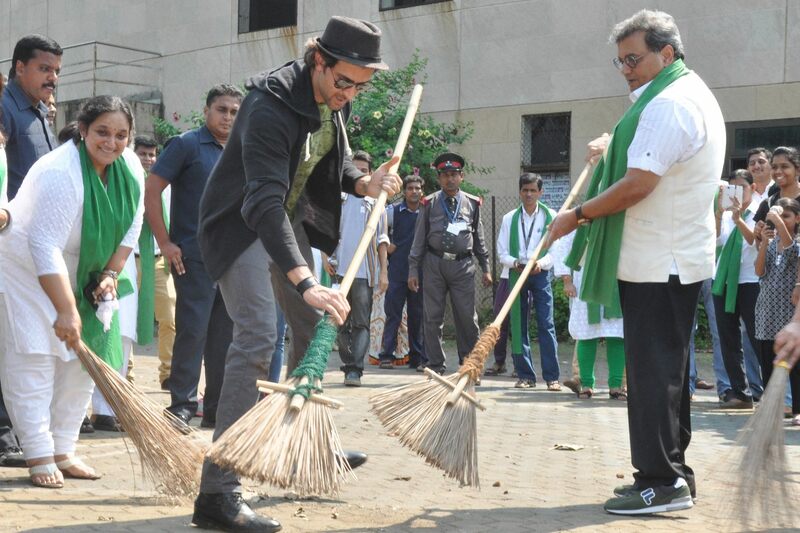 The talented star even took it upon his shoulders to pick up a broom and clean Juhu beach. 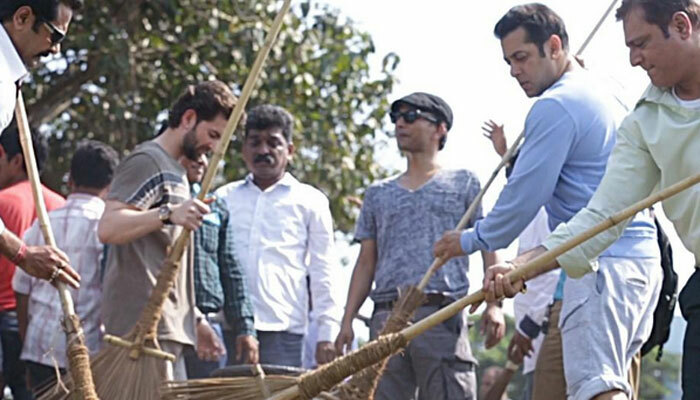 He was spotted with a group, taking the Swacch Bharat Abhiyan and also urging others to take the challenge.